Graduate Highlight: Meet Hope Hichak! Our International Babywearing Week celebration is all about volunteer educators in the babywearing community! We hope you are enjoying the chance to learn more about some of the amazing individuals who make volunteering part of their lives. In our third segment of Honoring Babywearing Volunteer Educators, we would like to introduce you to Hope Hichak, founder of Quantico Area Babywearers! I volunteer with Quantico Area Babywearers. I became a baby wearer when I had my first son in 2010. My husband was in the Marine Corps stationed at Camp Pendleton. I attended my first meeting with Babywearing San Diego & I was hooked! I started holding playdates under BWI of Central Virginia in Spring 2013. With the help of 6 wonderful women, We started QAB on October 1, 2013. How has babywearing impacted your life? 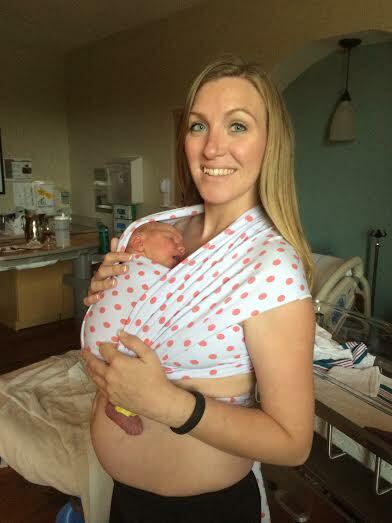 Babywearing became essential when my second son was born with multiple food allergies. He screamed night and day. The best way to help us all get through that trying time was with Max in a carrier. We used babywearing to survive. At 3 years old, I am happy to say that my child that was worn 20 out of 24 hours of the day is now a well adjusted, thriving preschooler. I attribute most of that to our babywearing relationship. What is your group/volunteer experience like? My group holds 5-6 free meetings a month in the Fredericksburg, Stafford, Woodbridge, Virginia area. I love meeting new caregivers at every meeting. I truly enjoy helping families in our community. What advice would you give to a brand new volunteer? I would say set up healthy volunteer boundaries so you don't burn out. It is easy to get super involved and take on too much. Make sure you have fun! What advice would you give to a brand new mom? I would advise a brand new mom to make sure she takes time to take care of herself. Whether is a cup of coffee in the morning, meeting girlfriends at target or taking a quick shower, whatever helps you to feel refreshed and recharged, find the time to do it! How do you make volunteering "fit" into your life? Volunteering fits into my life because I get to hang out with the other leaders who I am happy to call my friends and my tribe. What's your favorite place to visit? We love to visit the mountains! My family is blessed to have a place to go to in Massenuten, Virginia. We try to get out there once a month to relax while taking in the fresh air. What's one thing someone may not know about you? My mom wore me in a padded ring sling as a baby!